Newsroom - Inspiring careers in aviation - American Airlines Group, Inc. Initially the grant program was intended for flight school applicants only. But when Bob Werderich, owner of the Illinois Aviation Academy, found out about the grant, he didn’t hesitate to fill out an application for Tuskegee NEXT, the nonprofit outreach program. Currently the Tuskegee NEXT program is for cadets ages 16 to 20, but with the American grant, organizers intend to expand the program to students as young as 8. The idea is that when younger kids have exposure to aviation, there is a greater chance for long-term interest and success in cadet programs, ultimately encouraging them to continue on to pilot school. 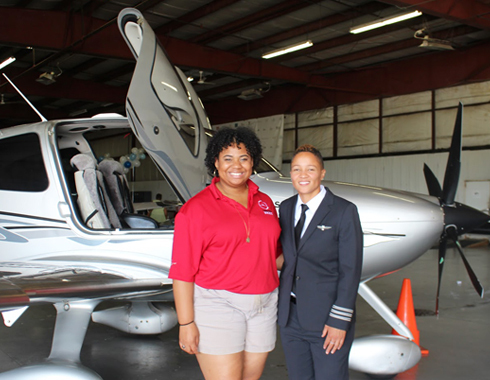 Tuskegee NEXT, in conjunction with local community organizations, aims to target kids in existing programs to ensure that aviation education is added to their curriculums. On July 28, Tuskegee NEXT hosted an open house allowing the community, donors and potential cadets a chance to see the program firsthand. 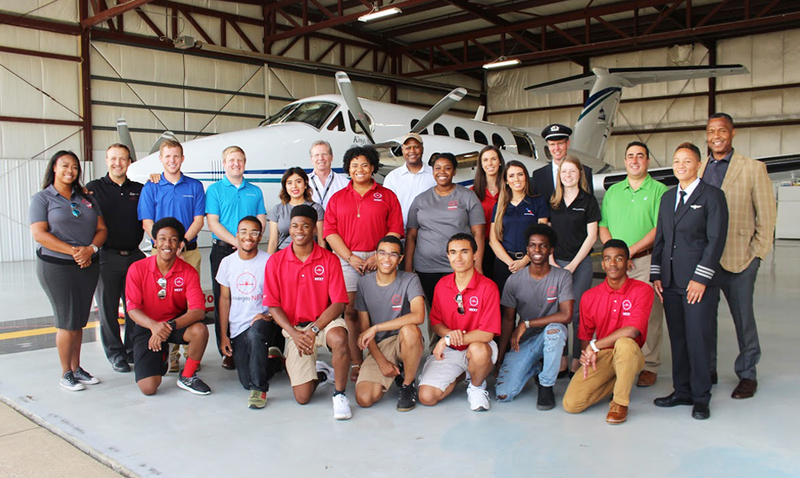 Wil Hehman, manager, Pilot Career Strategy, DFW Flight Academy (GSW), ORD Chief Pilot Bill Sponsler and ORD-based First Officer Mika Tang attended and met with Tuskegee NEXT’s executive director, Sanura Young, as well as Nia and some of the other cadets. “If you can get kids interested when they’re young, you have a far greater chance of finding these passionate kids before they get distracted with other things,” Bill said. American invested $25,000 in the Tuskegee Next program and $139,000 in all seven programs awarded grants in 2017. The other Flight School Grant Program recipients were: Riverside Flight Center ($25,000); Infinity Flight Group ($25,000); U.S. Aviation Academy ($25,000); Midwest Air LLC d/b/a Crosswinds Aviation ($25,000); Global Aviation Corporation ($10,000); U.S. Aviation Academy/UNT ($4,000).